The environment in which the warning signal is to be installed will determine the product selection. 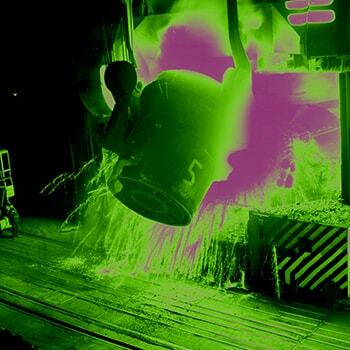 Warning beacons for heavy duty, high light output applications such as foundries, factory shop floors, large warehouses, docks, ports and general offshore use etc. For further information see our Industrial & Marine section. Warning beacons for use on automobiles (commercial & private) agricultural / off road vehicles and forklift trucks etc. For further information see our Automotive section. Visual warning signals that comply with the International Civil Aviation Authority (ICAO) requirement for the marking of objects in and around Aerodromes. For further information see our Obstacle Marking section. Warning signals designed for use in potentially explosive atmospheres and complying with the latest global standards. Typically used on oil rigs, refineries, chemical plants, grain storage etc. where in normal operations the atmosphere is flammable/ignitable etc. For further information see our EXD Explosion Proof section. Always fit mounting gasket provided (200/1, 400/1 & 500/1 series models only) and ensure the ‘O’ ring is in place between the dome and base. Fit a suitably IP rated cable gland (not supplied) where appropriate. Regularly clean the beacon dome, as this will improve light output and help dissipate heat build-up in the beacon. Do not clean dome with petroleum based cleaners. Areas of vibration should be avoided. If this is not possible, then our Anti-Vibration mount must be used. Reference 50080 (available for 88/125 & 200/1 series models only). Avoid positioning Xenon beacons within close proximity to communication aerials, equipment and power lines that may be subject to high voltage transients. DC voltage Xenon beacons should only be run on a smoothed and rectified supply. Unlike Incandescent lamps which fail instantly, Xenon tubes deteriorate very slowly. The impending failure of the tube will be indicated by erratic flashing. Once this is recognised the tubes should be replaced immediately. Failure to do so may result in damage to the electrical circuit. Always disconnect the beacon from the supply before attempting maintenance. In addition, allow Xenon beacons at least 15 minutes to self-discharge before removing the dome as high voltages will remain on the pcb for this period of time.